In this post, I would like to share my recent experience on how we can setup Apache JMeter™ 4.0 to test Oracle ADF 12c application. This blog mainly focuses on setting-up JMeter, creating test plan for UI application and executing the plan. Download latest version of JMeter and install, by just unzipping, on your system. Locate jmeter.bat and start it. P.S. : If you get any error while starting jmeter.bat complaining about missing JAR file, try to download it again using some different mirror. 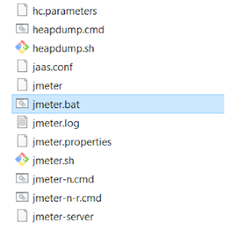 Start jmeter.bat. You should get a new screen with an existing Test Plan as below. In this case, I renamed it to MyTestPlan. Read the complete article here.